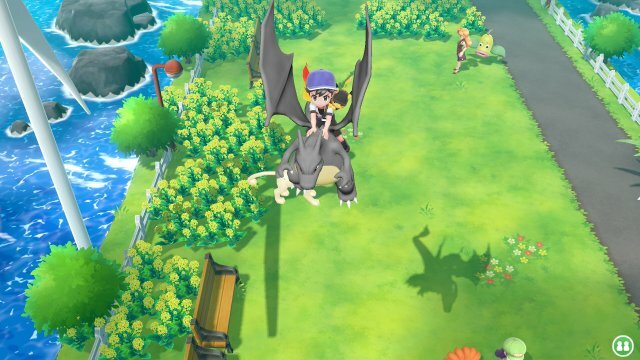 Introduced in Pokémon Yellow and then back in Heart Gold & SoulSilver, the Following Pokémon feature has returned in Pokémon Let's Go, Pikachu! 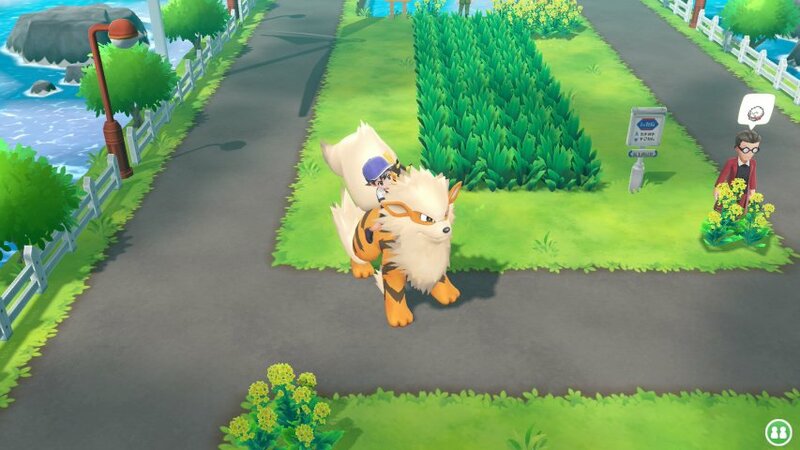 & Let's Go, Eevee. 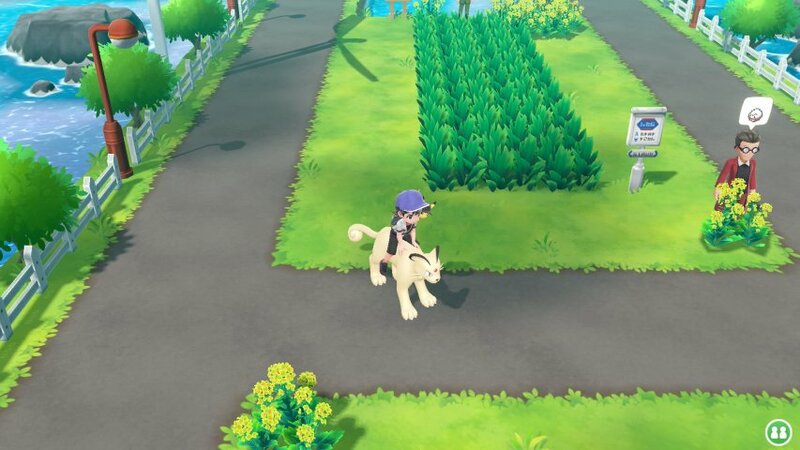 In this game, in addition to your partner Pikachu or Eevee being with you always, you can also select a Pokémon to be outside of its Poké Ball. This is done in the Party Menu. 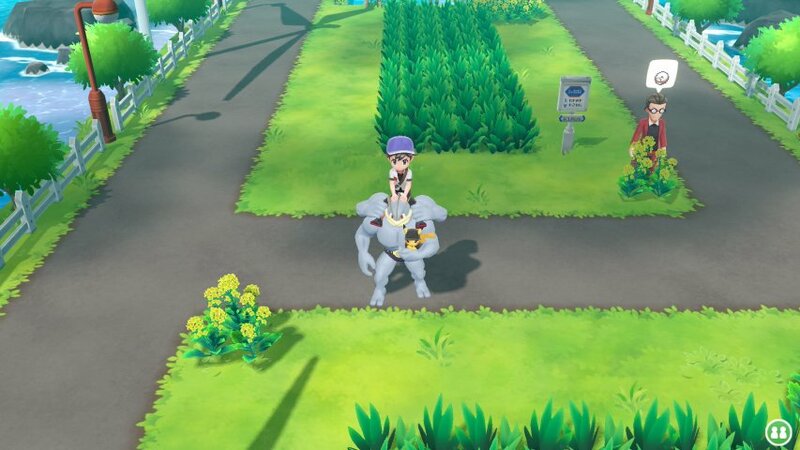 When in the local co-op mode, you can also set it so both players have a Pokémon following them but both players can't Ride a Pokémon. 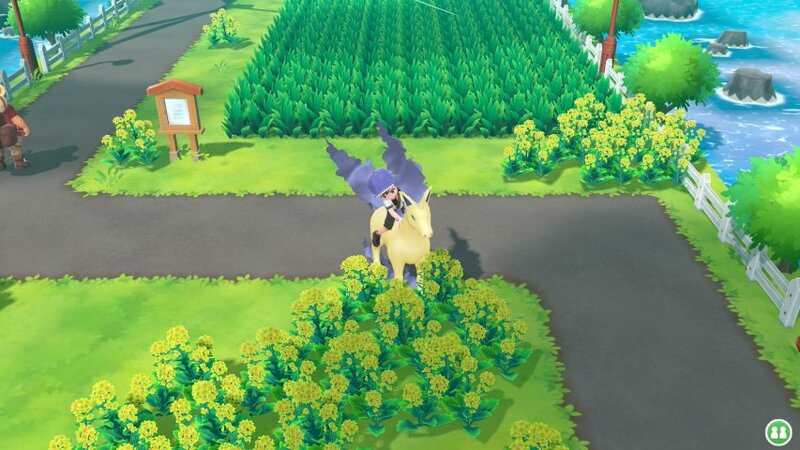 When out in the world, your Pokémon will often stop to check out flowers, water, doors etc. depending on the species of Pokémon. 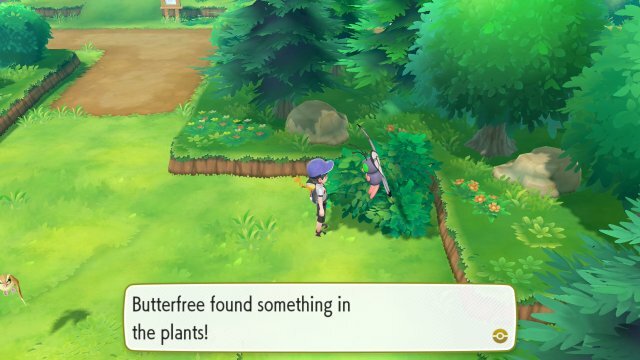 For example, a Butterfree would investigate flowers while a Mr. 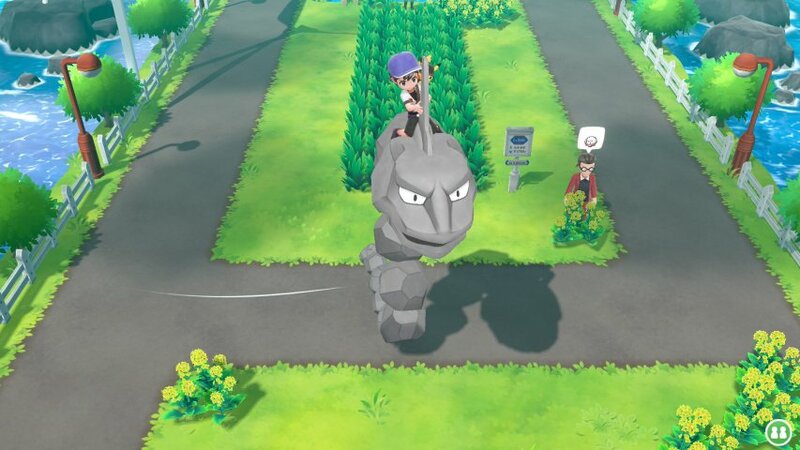 Mime would investigate a window and a Nidorino would investigate the Moon Stone in Pewter Museum. 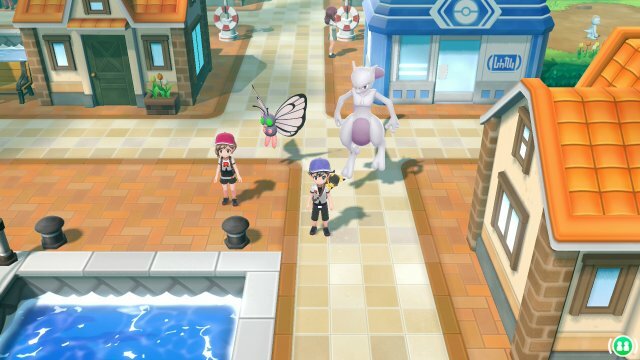 You can also interact with the Pokémon at any time. 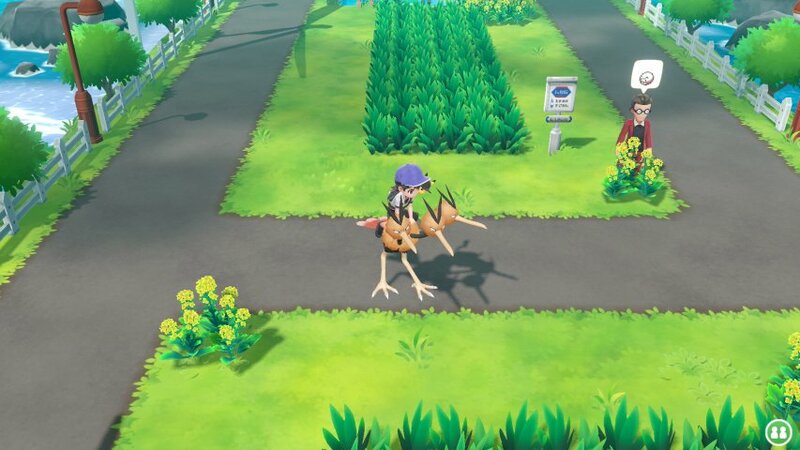 Golden Nanab Berry Any Pokémon in Route 17 onwards. 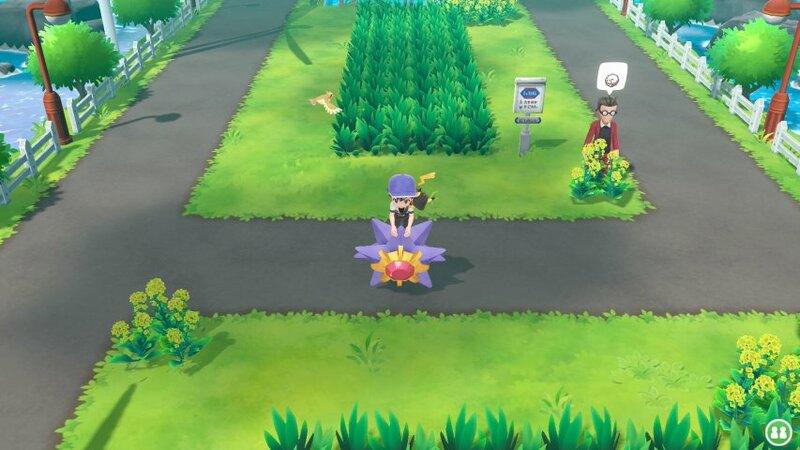 Golden Pinap Berry Any Pokémon in Route 8 onwards. 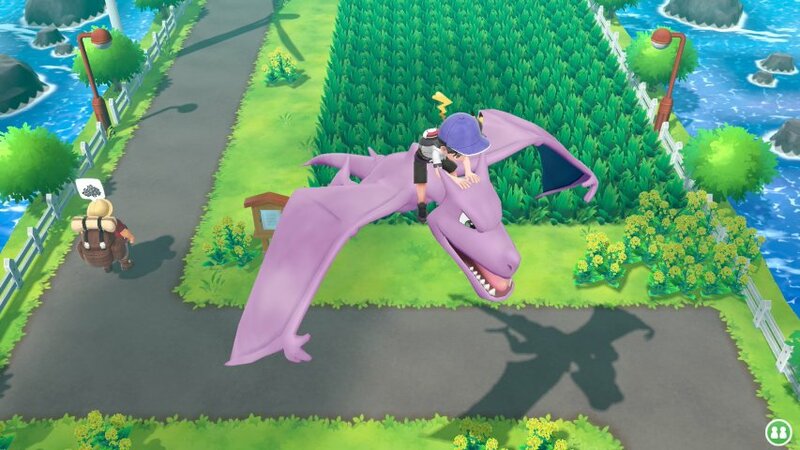 Golden Razz Berry Any Pokémon in Route 11 onwards. 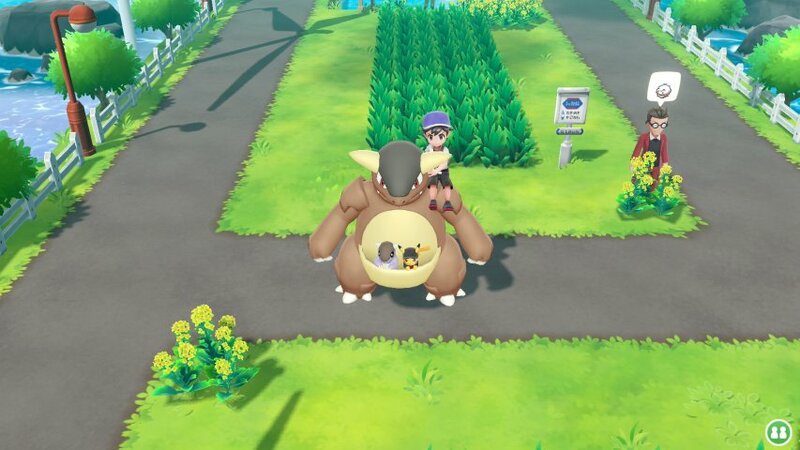 Nanab Berry Any Pokémon in bushes in Route 3 onwards. 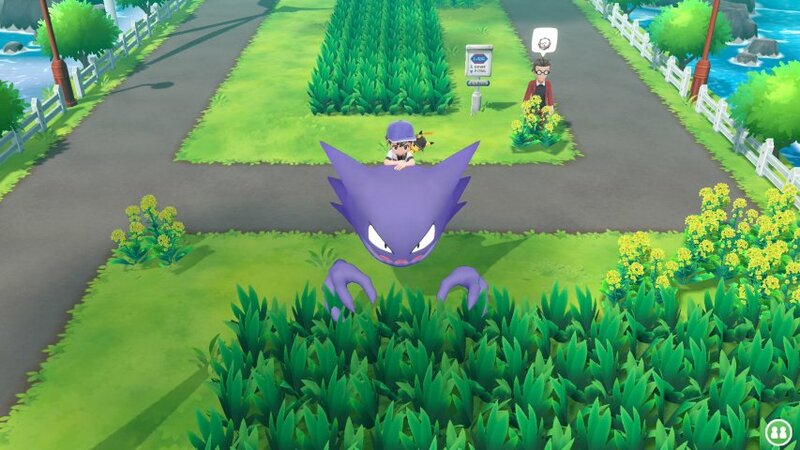 Razz Berry Any Pokémon in bushes in Route 1 onwards. 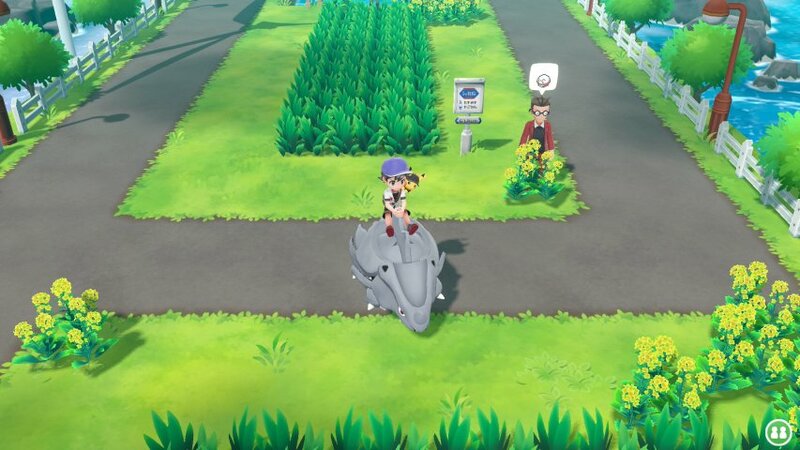 Silver Nanab Berry Any Pokémon in Route 7 & 14 onwards. 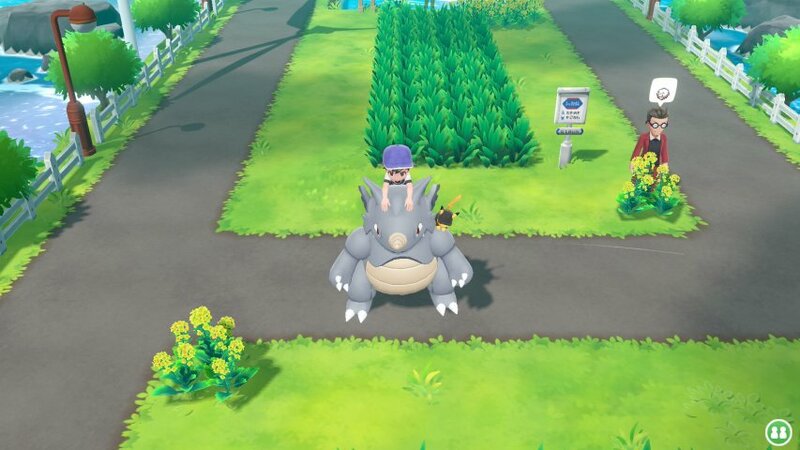 Silver Pinap Berry Any Pokémon in Route 17 onwards. Silver Razz Berry Any Pokémon in Route 25 onwards. 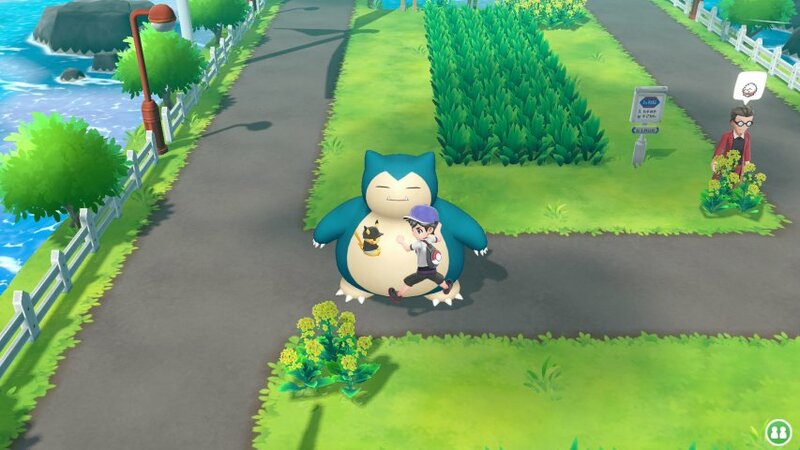 In addition to that, the Pokémon being out will increase in its Affection stat while it's out, as well as getting boosted each time you interact with it. 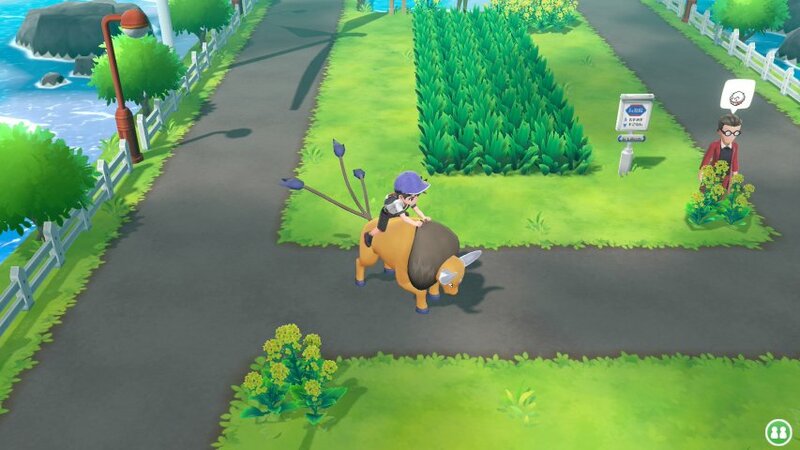 With the Affection stat increased, as per previous games, the Pokémon becomes more likely to get Critical Hits, avoid attacks, survive with 1 Hit Point, and dispell status conditions from itself. 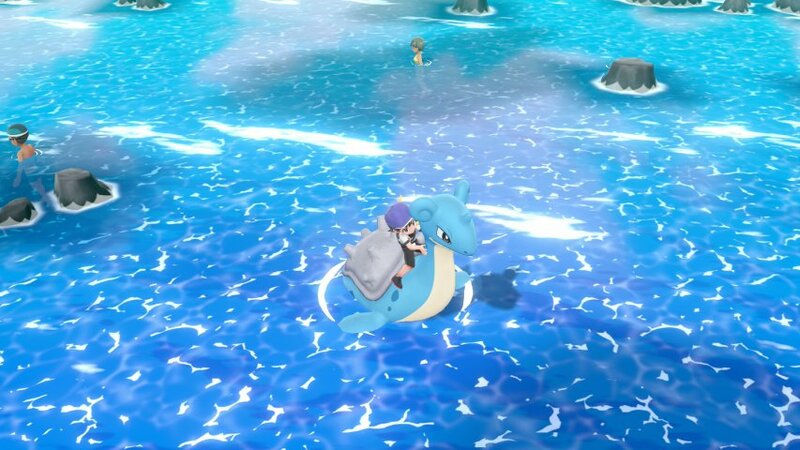 One element to the Pokémon being able to be out of the Poké Ball is that some Pokémon can be riden. 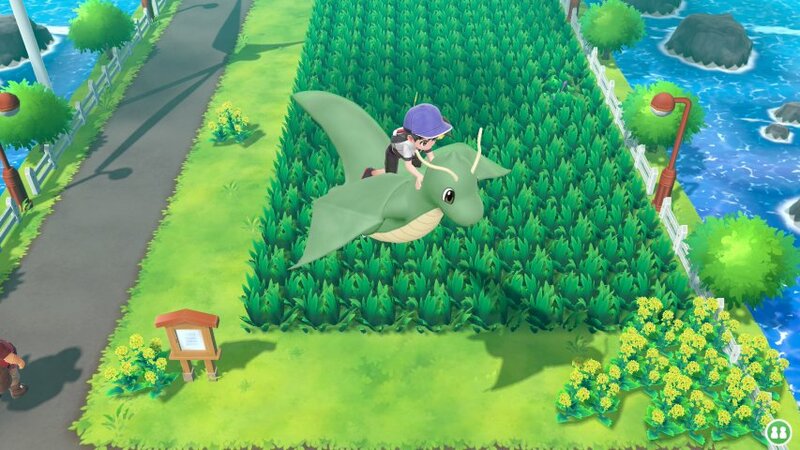 This often gives benefits of being able to travel faster, in lieu of a bicycle, and will also boost the affection as if it was out of the Poké Ball. 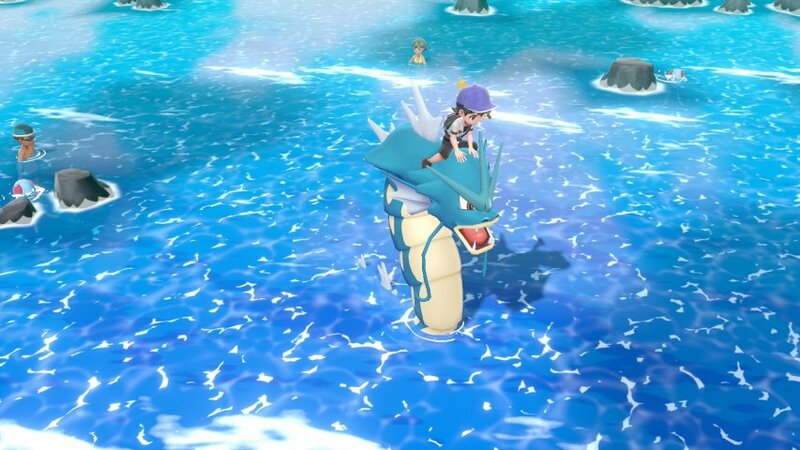 Only certain pokémon can be riden. 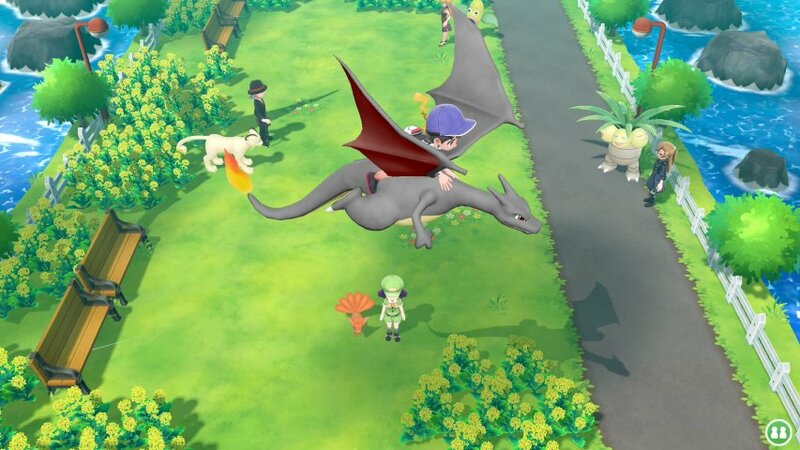 After defeating the Elite Four, riding Charizard, Dragonite and Aerodactyl allows you to fly up in the sky allowing for more wild Pokémon encounters as well as allowing you to bypass trainers and obstacles, though you cannot fly over gates between routes and areas.